Transnistria, officially named the Pridnestrovian Moldavian Republic (PMR), is a breakaway state in Eastern Europe that has remained in the shadows ever since its self-proclaimed independence as a Soviet republic in 1990 and subsequent breakaway from Moldova in 1992. Currently only recognized by Abkhazia, South Ossetia and Nagorno-Karabakh, themselves also unrecognised countries, Transnistria is situated in between Moldova and Ukraine. Despite having ended armed conflict in 1992, the situation in Transnistria remains extremely complicated, with the the breakaway state wishing to join the Russian Federation while continuing to remain heavily reliant on Moldova for exporting the limited produce its economy outputs. Despite making small steps towards increasing transparency to the outside world, Transnistria remains a Soviet Socialist Republic, as such continuing to make use of the hammer and sickle in its flag – even retaining the KGB as its main security agency. Russia still maintains a limited presence in Transnistria, its soldiers officially on a peacekeeping mission. Despite its disputed status as a true country, Transnistria functions as a de-facto state with its own army, air arm and even its own arms industry. It is the latter that has produced a number of very interesting designs that have entered service with Transnistria's armed forces over the past two decades. This industry was highly active during the Moldovan Civil War, producing a variety of DIY armoured fighting vehicles, multiple rocket launchers (MRLs) and other weaponry for use against the Moldovan Army. After the cessation of hostilities, the arms industry would play a vital role in upholding the operational status of the Transnistria's army, which has remained unable to replace its dated inventory of Soviet weaponry ever since its establishment in 1991. One of these designs is a new multiple rocket launcher using the same 122mm rockets of the ubiquitous BM-21, yet radically different in its design. First seen in 2016 during the 'Commonwealth Warrior - 2016' army competitions, this MRL (referred to as 'Pribor-2' in this article for the plant which produced it) is a huge upgrade over Transnistria's previous homegrown MRL: referred to as 'Pribor-1' in this article. Sporting the impressive number of 48 122mm tubes compared to the Pribor-1's 20 tubes, the 'Pribor-2' is the latest addition to the Transnistrian Army after the unveilment of the locally converted GMZ-3 APCs. Transnistria is notorious for its supposed role in arms trafficking throughout the region and farther abroad. Large quantities of weaponry and ammunition from the Soviet 14th Army were taken over by Transnistrian locals, elements of the 14th Army loyal to Transnistria and foreign fighters when Moldava entered what according to the Moldovan government was and still is Moldovan territory, resulting in conflict between the two in 1992. While large amounts of the missing weaponry and ammunition was subsequently secured, taken over by the newly established Transnistrian Army or transported back to Russia under the supervision of the Operational Group of Russian Forces in Moldova, limited quantities of weapons originating in Transnistria still found their way abroad. When the Soviet Union dissolved, much of the personnel and their associated weaponry which once made up its military became subordinate to the newly established states they were located in. While this process was often troubled by the departure of many ethnic Russians stationed outside of the former Russian Soviet Federative Socialist Republic, this wasn't the only problem encountered in Moldova. The 14th Army was in fact stationed in Ukraine, Moldova and the breakaway state of Transnistria, with various units of the 14th becoming subordinate to either Ukraine, Moldova and Russia, or loyal to the newly formed Transnistrian republic. Obviously, this made for an extremely complicated and sensitive process. When Transnistria took over most of the weapon storage depots on the territory it controlled, it inherited large amounts of highly specialised vehicles while being left without any significant numbers of infantry fighting vehicles or self-propelled artillery. Indeed, apart from several 122mm 2S1 and 152mm 2S3 self-propelled guns (SPGs) that took part in the 1992 war (which in fact are likely to have returned to Russia afterwards), there is no self-propelled artillery in the inventory of the Transnistrian Army. Instead, it relies on an arsenal of towed anti-aircraft, anti-tank guns and 122mm MRLs (The 'Pribor-1' seen below) for indirect fire support. By comparison, Moldova continues to operate a sizeable number of 220mm BM-27 and 122mm BM-21 MRLs, 152mm 2A36 Giatsint-B field guns and 120mm 2S9 Nona self-propelled mortars. While certain to be outgunned and outranged in any future conflict with Moldova, Transnistria is looking at other ways to offset its numerical and technological disadvantage with Moldova. Starting with designing and producing crude types of MRL known as 'Alazan' to bolster its firepower during the 1992 war, Transnistria's flourishing arms industry would experiment with other types of MRLs during the 1990s, but none appear to have been particularly successful or entered service with the Transnistrian Army. For Transnistria, the first true success story came in the form of the Pribor-1, which combines a ZiL-131 truck with an indigenous launching erector system similar in operation to that of the BM-21. However, the biggest difference is a 50% reduction in the total rockets the vehicle can fire in one salvo, from 40 on the BM-21 to just 20 on the Pribor-1. 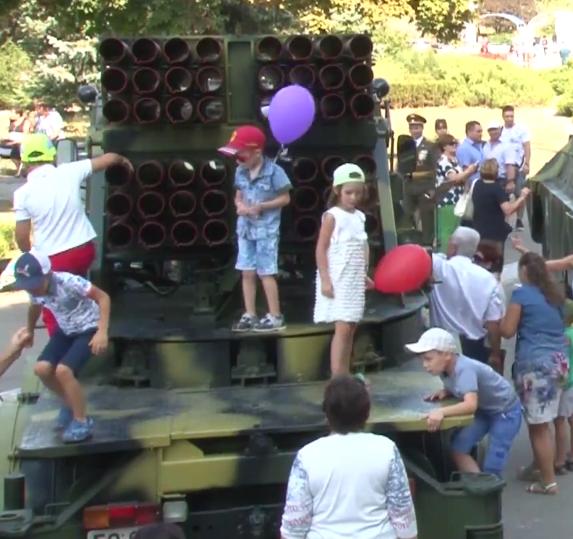 While the actual reason for this remains unknown, it could have been an attempt by the Transnistrian Army to increase the number of MRLs in its inventory by simply cannabilizing one BM-21 for two Pribor-1s. However, different in virtually every aspect from the regular BM-21, this theory is nowadays considered implausible. 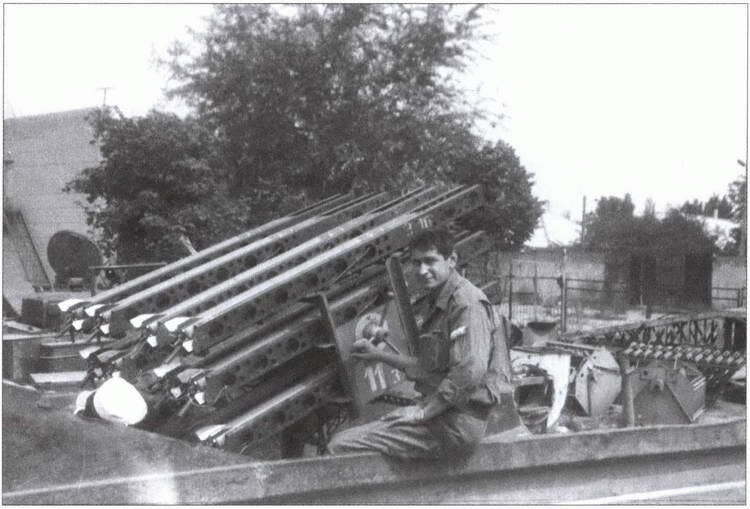 More likely is that Transnistria took over several thousands of 122mm rockets from the Soviet 14th Army, but no MRL to fire them, and subsequently acquired or produced the rocket tubes themselves. Opposed to the Pribor-1's 20 launching tubes, the Pribor-2 can fire no less than 48 122mm rockets in one salvo, which considering the Pribor-1's obvious downgrade from the BM-21 might indicate the Transnistrians are indeed capable of producing their own launching tubes. Based on a commercially available KAMAZ-43114 or a close derivative, the Pribor-2 stands out compared to other MRL designs in that its launch tubes are installed backwards and its interesting arrangement of 4x12 122mm rockets. Although the number of Pribor-2s currently available to Transnistria remains unknown, continued production might eventually allow its army to supplement or even replace the older and less capable Pribor-1. Apart from expanding and even introducing new MRLs, Transnistria has also taken measures to improve the detection of enemy forces and particularly artillery, which could allow the MRLs to take on the role of counter-battery fire. In particular, Transnistria has acquired several commercially available DJI FC40 Phantoms and even launched an indigenous drone programme which could eventually aid the Transnistrian Army in identifying targets for its Pribor-1 and Pribor-2 MRLs. 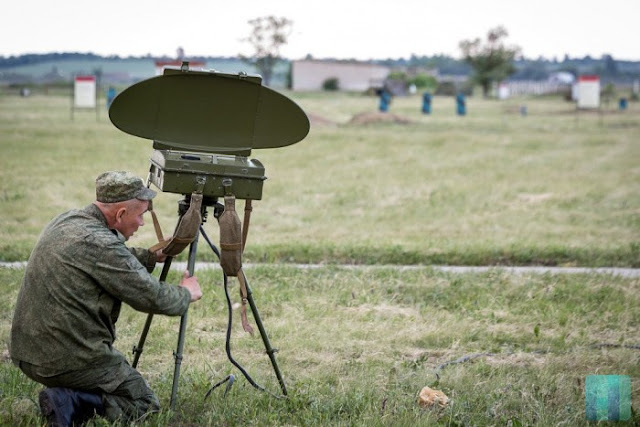 The Transnistrian Army also operates several battlefield surveillance radars, including the relatively modern Credo-M1 portable battlefield surveillance radar that can detect armoured fighting vehicles from rougly 30km away, and movement of personnel from 10km. For Transnistria's size, status and economic means, introducing a new type of MRL is certainly an impressive feat, and presents a clear case of making the best possible use of every means available. 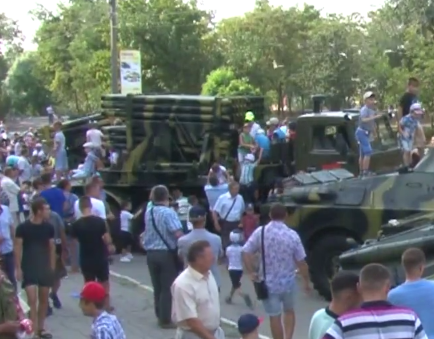 In that regard, Transnistria is sure to continue surprising its tiny audience of foreign observers with the products of its indigenous military industry. Perhaps more importantly, it shows Transnistria is becoming more self-reliant in the production of arms and equipment, a necessary measure for the republic to maintain its status as a breakaway state. Hello, very nice article emphasizing an unknown army of Europe, I still have a question, you say that : "the Pribor-2 stands out compared to other MRL designs in that its launch tubes are installed backwards..." I don't understand, do they fire backwards too ? And what does it change to its abilities if it's not the case. Thank you. The launching system faces forward on most MRLs like this ->[cabin], but with the Pribor-2 the part of the launching system where the rockets come out faces this way <-[cabin]. The launching system has to be rotated to a position from where firing is possible, to both sides of the vehicle for example. I hope this answers your question. So, do we have a release date for the book? I've been waiting forever for someone to make sense of the North Korean MBT situation. 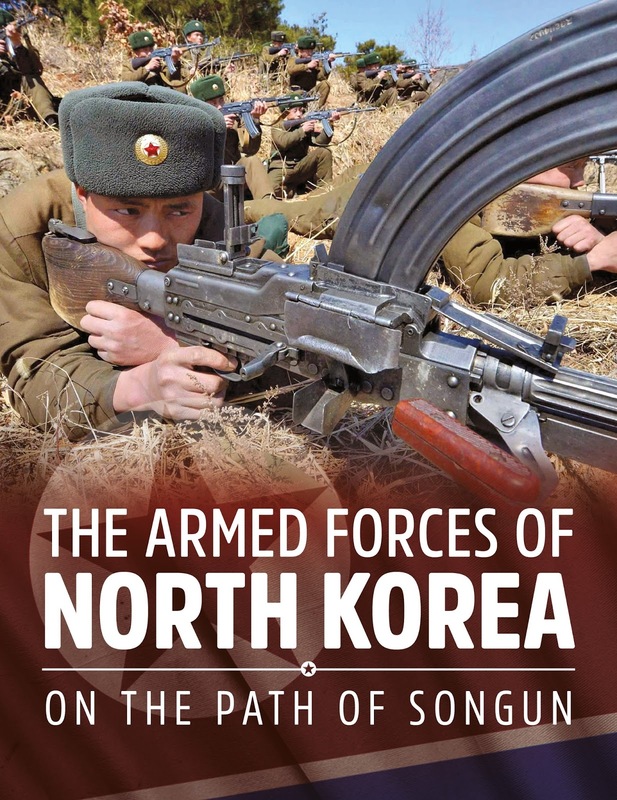 Also, how much coverage of NK SAM systems is there in your upcoming monograph? 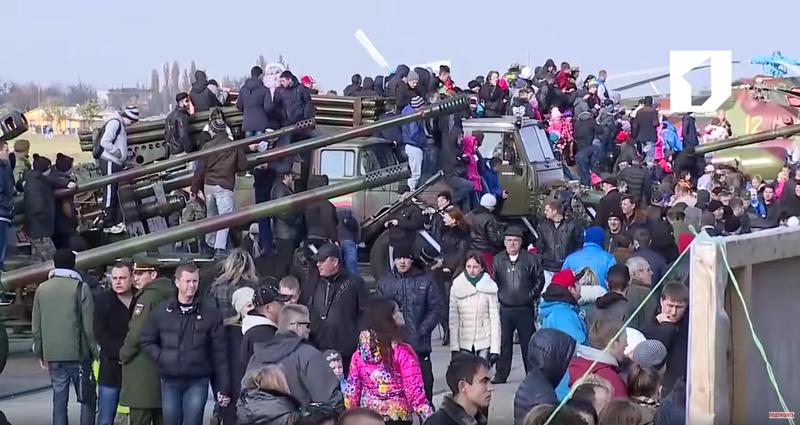 Those domestic Strela-10 facsimiles at the last few parades are really bugging the heck out of me. We've tried our utmost best to explain the North Korean MBT in such a way that it ends the 'Pokpung-Ho' situation once and for all. SAMs have also received a lot of attention, from MANPADS to the Pongae-5 and everything in between! As for the Strela-10, the DPRK replaced the four original missiles with eight of its indigenous Igla-derivative MANPADS, which offer roughly the same capabilities in terms of range, but have increased efficiency in terms of target acquisition (through their IR-seekers) and four additional missiles ready to fire.